Progeria has many effects if someone has it. If someone has Progeria they body will not be the same. For example they will not grow as tall as a human. The average death occurs when there 13. They would look like their five or six but really there fourteen. People with Progeria can not do the same things like lift a large object that&apos;s heavy. Progeria is Hutchinson-Gilford Progeria Syndrome &quot;Progeria&quot; or &quot;HGPS&quot; is very rare. Genetic characterized of the appearance of the child. 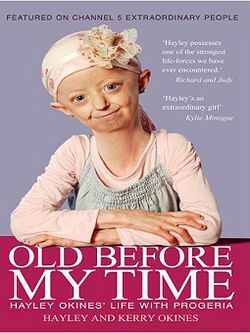 Progeria comes from the Greek word meaing prematurely old. Progeria is considered an autosomal dominate condition. That means one copy of the altered gene is in each of the cells to cause the disorder. It results from some new mutations that are located in the LMNA gene. 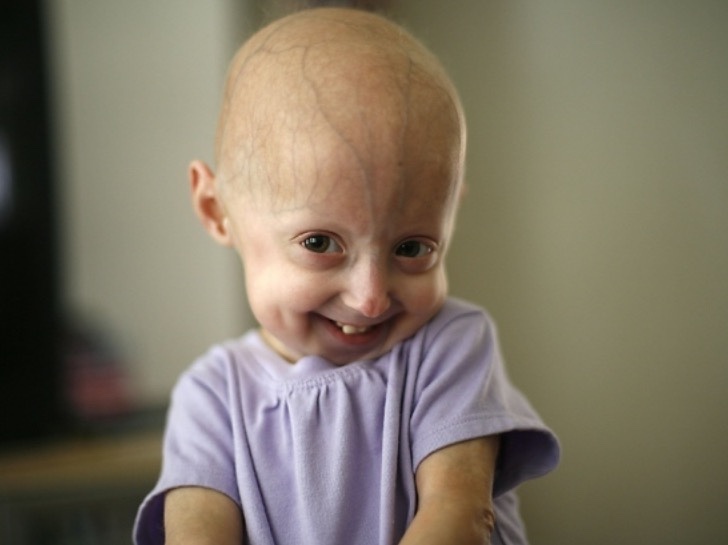 Progeria almost always occurs when the parents have no history of a disorder in there family.